These lightweight, breathable, natural canvas travel totes from Silver Brush protect paintbrushes during transport and storage. 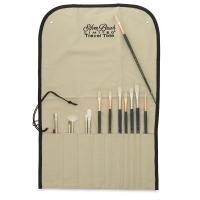 Sewn compartments hold 10 or more brushes. 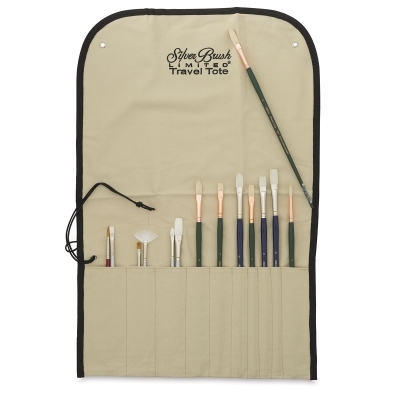 An extra-long flap folds over to cover brush heads. 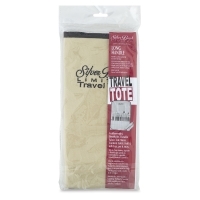 A strong nylon cord secures the rolled totes. 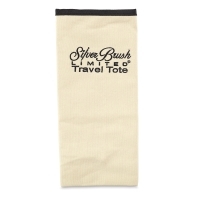 ® Silver Brush is a registered trademark.™ Travel Tote is a trademark.